General Discussion : He's BACK! Yay! 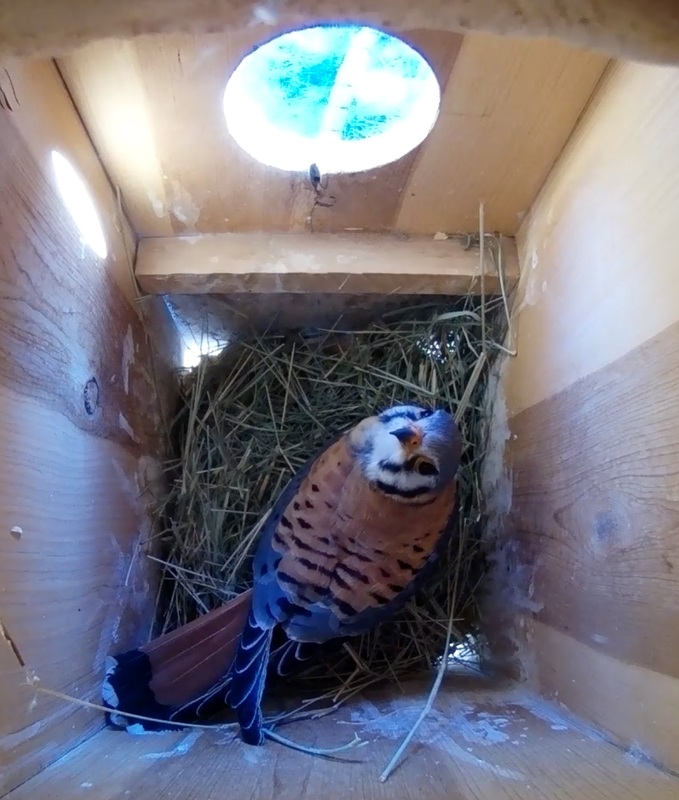 First sighting of the male back to the box. I'm assuming that this is the same guy as last year. Is there any way to tell (did not get to band the adults last year)? Match spot patterns on the back with photos from last year? So excited! Let the kestrel season begin! Wondering how persistent the markings are through subsequent moltings, or, how much variation there is across individuals. 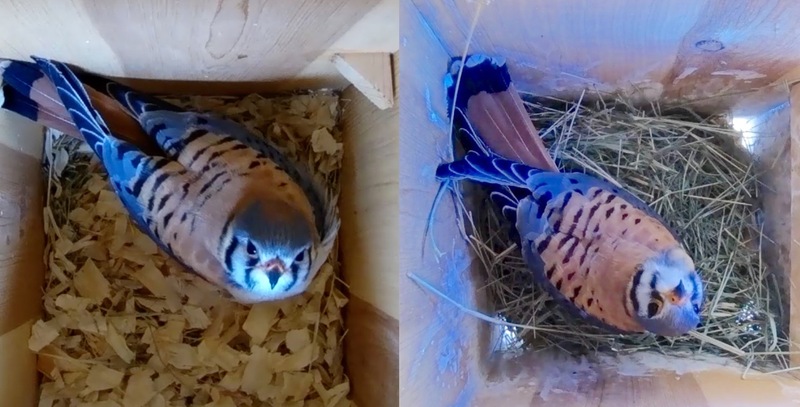 Clearly similar, though not identical, these two photos appear to be the same bird. Anyone know how to tell (without leg bands)? He's a beautiful male! Vivid colors! They are such snappy little dressers, aren't they? Hope he finds a gal to settle down with! Posted in General Discussion by NM-Kestrel-Laura 1 year 2 months ago.